The Reds are delighted to publish the new look for our new strip, for the upcoming 2018/19 campaign. The new red strip features fantastic gold trimming on both the neck of the shirt and also on the bottom of the shorts. 'Impact' our traditonal sponsor in the middle of the shirt, is also present with a gold backdrop. Replica shirts are available NOW! 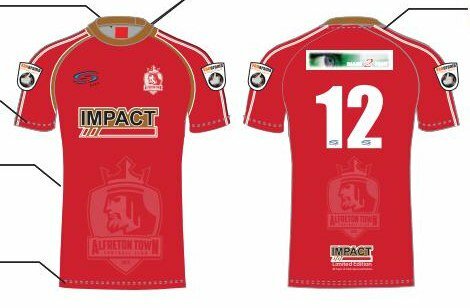 The Club can take orders for all sizes and the shirts will retail at £39.95 Adult sizes and £29.95 Junior sizes. Supporters can order the new strip in person at the Impact Arena with payment required upfront. Alternatively you can phone us on 01773 830277, stating the size of the shirt/s, quantity and method of payment, also required upfront on the phone. We can confirm that one sample of the new strip will be available at the Impact Arena to view.